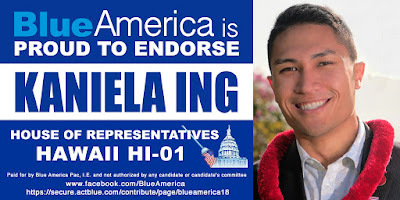 Right now there are 3 candidates running for the open Honolulu-based seat (HI-01), two conservative Democrats from the Republican wing of the Democratic Party, Donna Mercado Kim and Doug Chin, and the state's most progressive and deep-thinker political leader, Kaniela Ing. Rumors abound that a 3rd Republican masquerading as a Democrat, Beth Fukumoto, is about to jump in as well. A few months ago Fukumoto was the minority leader of Hawaii's House of Representatives, where she voted like... a Republican, of course-- anti-Choice, anti-LGBTQ, anti-environment, anti-working family... you know what Republicans are; she was the leader. Then she said something uncomplimentary about Señor Trumpanzee so they threw her out of her leadership position and she quit the party. After being an independent for a while she saw an opportunity to run for office as a "Democrat" and joined that party. She, Chin and Kim are three of a kind, all calling themselves Democrats after having run up ugly Republican records. And now another Republican is jumping ship, ex-Congressman Charles Djou. Who knows what he'll be running for. He wrote an Op-Ed, making himself sound heroic, yesterday for Civil Beat. He lost his last 3 elections as a Republican. I have long believed that America’s strength lies in our nation’s diversity-- not its exclusion or isolation. We are a nation of immigrants and benefit from a national fabric woven with the threads of many people, of many backgrounds and cultures, all united in the common belief and love of American liberty. That’s why I championed immigration reform as a congressman. I have always supported robust international diplomacy and free trade. As a congressman, I advocated for passage of the free-trade agreement with South Korea and strongly supported the Trans-Pacific Partnership initiative to expand free trade across Asia with the U.S. Trump’s decision to withdraw from the TPP, his threats to leave NAFTA, and now his desire to launch a “good trade war”-- even with our allies-- will lead to long-term economic decline and weaken our country. I'm not sure if retired Lt. Col. Ralph Peters, a Fox News analyst for a decade, quit the GOP but Tuesday he did quit Fox News-- pretty much the same thing. "I feel that Fox News is assaulting our constitutional order and the rule of law, while fostering corrosive and unjustified paranoia among viewers," he explained to friends and colleagues. 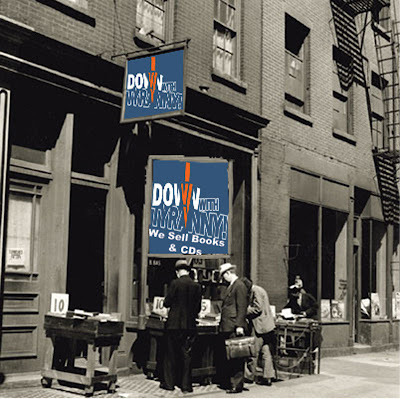 "Over my decade with Fox, I long was proud of the association. Now I am ashamed. In my view, Fox has degenerated from providing a legitimate and much-needed outlet for conservative voices to a mere propaganda machine for a destructive and ethically ruinous administration. When prime-time hosts-- who have never served our country in any capacity-- dismiss facts and empirical reality to launch profoundly dishonest assaults on the FBI, the Justice Department, the courts, the intelligence community (in which I served) and, not least, a model public servant and genuine war hero such as Robert Mueller-- all the while scaremongering with lurid warnings of 'deep-state' machinations-- I cannot be part of the same organization, even at a remove. To me, Fox News is now wittingly harming our system of government for profit." Back to Hawaii, no one needs, more self-serving Republicans in the Democratic Party to water down an already tarnished and nearly unrecognizable brand! 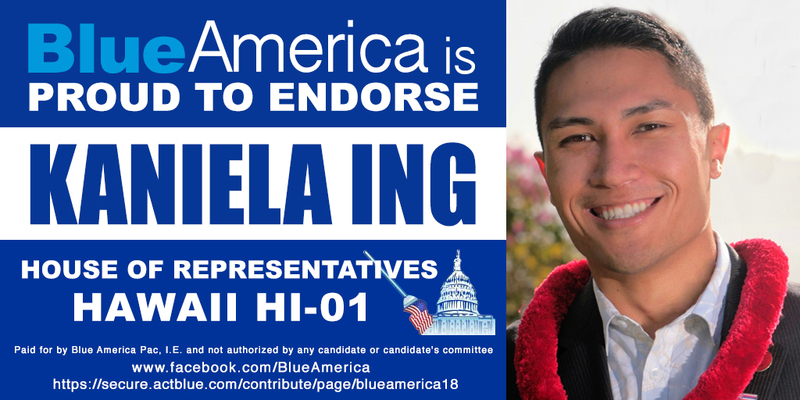 Please, consider supporting Kaniela Ing for Congress. I promise he'll be at least as good a member of Congress as Ro Khanna, Pramila Jayapal, Barbara Lee and Mark Pocan-- and God knows we need more members like those four! I left the democrap party over 20 years ago because they left the Left. A vote for Ing, no matter how good he truly is, is a vote for the party that hasn't served the left for over 20 years. Interesting how no democraps ever seem to leave the party that left the left. It implys that those new people aren't really supporters of the left either. If they were, they'd not be democraps. Are the left even dumber than the right? It's arguable. The Rs have been the Nazi party, hateful of everyone but stupid white men, blind to corruption, warmongering, economically delusional and a list of other evils FOR 100 YEARS!! And it takes trump to drive that one guy out? Really? That's the last straw? It wasn't the wars of aggression or torture or tax cuts for millionaires or hate of brown and female persons? I could say the same thing about the guy who left fox.